If you are gearing up to take a road trip this summer, chances are you’ll be looking to keep the kids occupied along the way and it’s always fun to tie in some geography on the journey. 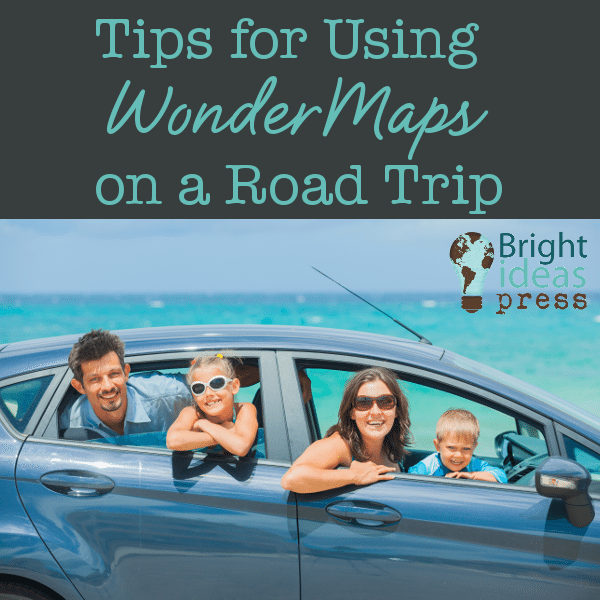 WonderMaps is a great way to incorporate some mapping for your summer adventures. WonderMaps is a map software program which allows you to customize the maps you want. How is this useful to a traveler? Choose from a variety of maps including world and ancient maps. Customize the maps by adding the features you want before printing. Always have an up to date map without having to repurchase anything. Print them in color or black and white with or without features. The maps support lots of creative ideas. Prepare maps of your driving route so you can map your way as you go. Print a physical map and you can mark your journey with symbols. Make a map which highlights the wildflowers you find on your adventure. Use a United States map and shade in the states represented once you have scene the license plate to that state on your drive. Map the places you visit on the map. Print color and/or black and white maps to use for your travel journal. Create a nature study map to share the critters and plants you observe. Remember you are not working on an exquisite piece of art with these maps. You don’t have to follow all the mapping rules if you are using them in journals are art projects. Have a good time with it! Follow Bright Ideas Press’s board Road Trip Learning for Homeschool Families on Pinterest.